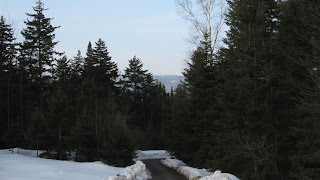 The first day of spring signifies new beginnings, even in the still snow-covered Adirondack Mountains. My personal life is cooperating with the seasons in an odd but perfect way lately, which confirms my belief that Mother Nature knows best. Stayed tuned for new and exciting changes in the Adirondack Lifestyle. Today's featured photo is this morning's view from home courtesy of Joann Sandone Reed.